The Progressive Liberal Party has been governing the Bahamas for 30 years from 1967 to 1992. The party came to power again in 2002 and was the leading one till 2007. The most remarkable day in the history of the party is January 10, 1967, when its leader Lynden Pindling became the first black Premier Minister of the colony. This day is considered by the historians as one of the most important in the modern history of the Bahamas. The Bahamas became totally independent from a Commonwealth realm only in 1973 and this is also achievement of Lynden Pingling. The Progressive Liberal Party had to nationalize some private businesses due to socialist tendencies during the years of Lynden Pingling' administration. Pindling resigned from public life in 1997 under scandal. Unfortunately at some point the Majority Rule Day lost its significance for Bahamians. 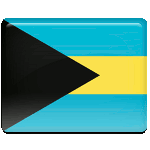 Today this holiday is actualized again by Bahamians and they try to make this day as a national day of observance.